All our Bluetooth Smart® products (Bluetooth Low Energy, BLE) such as the AIRcable SmartBeacon, SmartDimmer and more are based on the AIRcable BLE module. The module is compatible with our existing AIRcable SMD standard Bluetooth modules and sometimes can just used interchangeable. 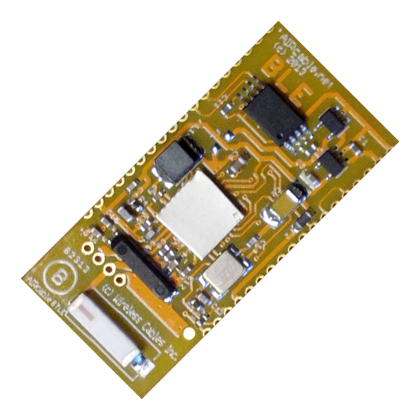 We implemented a generic Bluetooth Smart (Bluetooth Low Energy, BLE) firmware for AIRcable BLE based modules.